The Briquetting Lever Press is a device for making fuel briquettes out of organic waste material, such as agricultural waste. It is designed for use by rural households. The Briquetting Lever Press is a foldable and therefore transportable device, which requires no formal training to operate. As the name suggests, The Briquetting Lever Press contains a lever (rod) connected to a circular disc which enters into a porous cylindrical entity (basket). 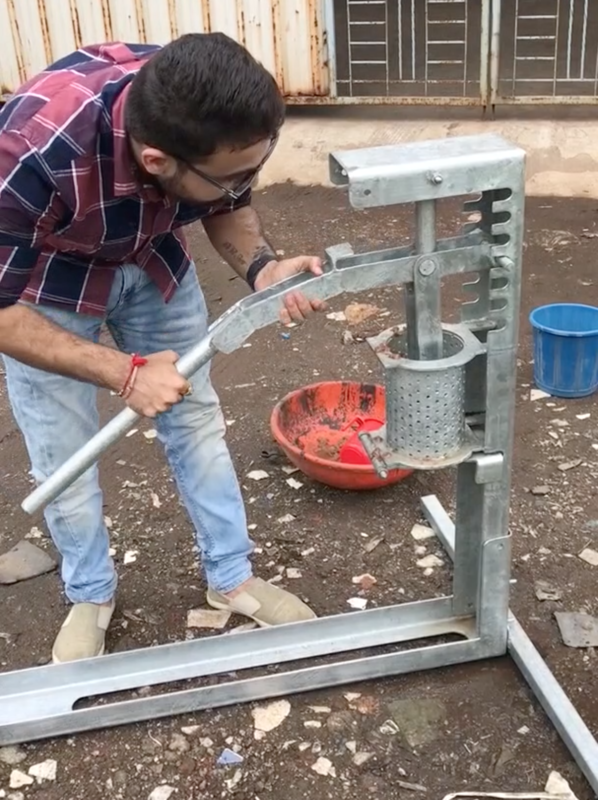 Once the entire lever press is assembled correctly, a mixture of agricultural waste and water is made, and this mixture is then poured into the porous basket. Using the Lever, the mixture is then pressed until all the water content from is drained through the pores in the basket. 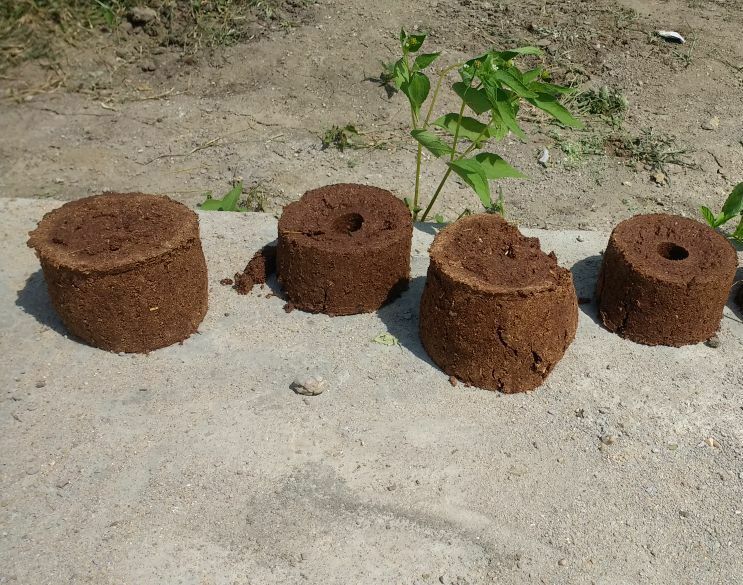 The resulting product is a cylindrical briquette. SK Engineers successfully developed a miniature manual Briquetting Machine called BLP (Briquetting Lever Press), and is currently working on further new models of the same. The press design is based on the principle of a tube-pump in villages used to access ground water. BLP provides rural communities with easy access to green energy, that is also free of cost for those households around which agricultural waste is abundant.